The content on this site is in the public domain! This site is operated by the Wythe County Department of Public Information and is made available to the public and media without any copyright restrictions. 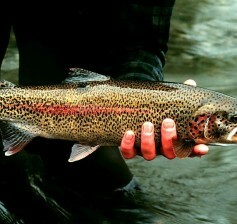 WYTHE COUNTY, Va. – Wythe County’s Parks & Recreation Department is teaming up with the Virginia Department of Game & Inland Fisheries (DGIF) to host a “Kids Fish Day” on Saturday, May 13, 2017. The event is just one of dozens of activities DGIF will be hosting throughout the Commonwealth this year aimed at giving children 15 and under the first opportunity to fish in freshly stocked waters. The 2017 Wythe County Kid’s Fish Day will be held at Cripple Creek’s Collin’s Cove / Cole Branch section (roughly midway between the communities of Cripple Creek and Ivanhoe, off Pope Rd.). 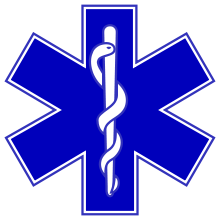 WYTHE COUNTY, Va. – This past week, the Virginia Office of Emergency Medical Services notified Wythe County that Wythe County Rescue Squad’s grant request of $198,925 had been approved by the Virginia Department of Health. 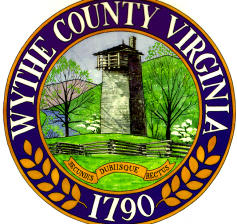 Despite its name Wythe County Rescue Squad is a private non-profit organization (the name is a geographic place reference only); however, the county agreed to offer assistance to the squad in preparing and submitting the successful grant application. The money will be used to replace a vehicle that had been in service for over a decade and was beginning to experience major mechanical failures. “We were very happy and pleased to be the recipient of this grant,” stated Danny Gordon who serves as the chairman of Wythe County Rescue Squad’s Board of Directors. 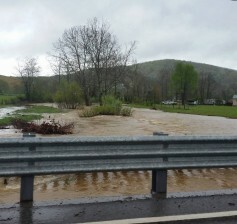 WYTHE COUNTY, Va. – Multiple roadways in Wythe County have been closed due to flooding, as anywhere from 3 to 5 inches of rain have already fallen in the locality and weather forecasters are predicting additional precipitation throughout Monday and into the night which may bring an additional 1 to 2 inches. In Wythe County, the heaviest hit areas are in the locality’s southeastern section, near the New River and its various tributaries. According to USGS data, Reed Creek at Graham’s Forge is discharging 5,690 cubic feet per second (its regular discharge rate is roughly 269 cubic feet per second). 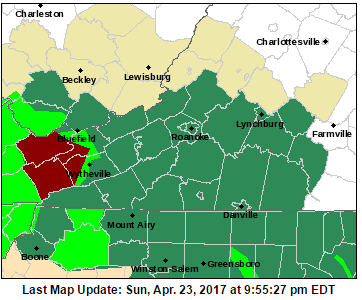 Shortly before 8:30 Sunday evening, the National Weather Service in Blacksburg, Virginia, issued a Flash Flood Warning for Smyth and Tazewell counties, as well as the western portions of Wythe and Bland counties in southwestern Virginia. The warning remains in effect until 2:15 AM, however, this may be extended (residents are encouraged to monitor weather.gov for the latest flood warnings and watches). The National Weather Service (NWS) in Blacksburg, Virginia, is warning residents of our region that there is a slight risk of severe thunderstorms tonight and into the early morning hours of Thursday. Even more concerning than the Thunderstorms, however, are the strong winds that are expected to pass through Southwest Virginia in the hours ahead. 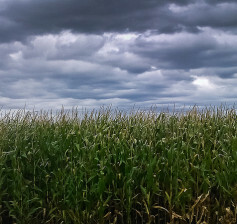 At 3:39 p.m., NWS issued an urgent weather message stating, “An area of low pressure will deepen as it tracks from the Ohio Valley into New York on Thursday and Friday. As a result very strong and gusty northwest winds will develop across the Appalachians.” As a result, a wind advisory will remain in effect from 8 a.m. Thursday to 8 p.m. Friday. WYTHE COUNTY, Va. – The Wythe County Board of Supervisors has scheduled a public hearing to receive feedback from the public regarding a proposal to move the Rural Retreat voting precinct location from the Rural Retreat Fire Department to the Rural Retreat Community Center. Though the move is only 50 yards, the Code of Virginia requires the Board of Supervisors to conduct a public hearing prior to voting on the proposed change. Representatives from the county’s electoral board say the move is necessary in order to provide greater accessibility for individuals who may have certain handicaps and that the community center was selected because it is the building closest to the fire department.